Edit: Sold out, they are all gone. Please see note at bottom of the thread. Note, these do not have the diff lock, as did some of the earlier axles that I had. Rick, sent you a PM. Thank you guys, this has been a year project, I have got these axles out to maybe 120 teams. Of note, my standard deal was to send the axle out and trust that the teams would get me paid once everything was as expected. NOT ONE of the teams let me down. In EVERY SINGLE case, the teams got me paid within just a few days. I want to thank all of you guys for being fun to work with, prompt to get me paid, this entire experience has been fun! A lot of work, but great fun!! 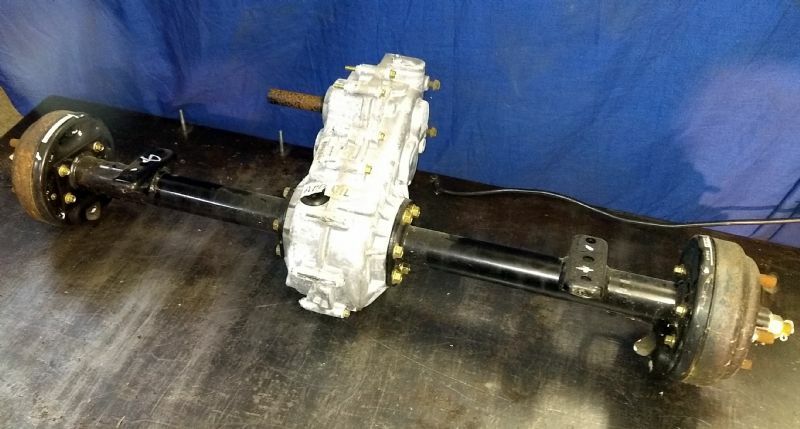 Do you know where I might find an axle like this for sale? I have been looking for days. This might get you started. Oops, scratch that. I had the IRS in mind. I have to say no, I have no idea where to get one or the solid axles. It was a fluke that I had the ones I had.